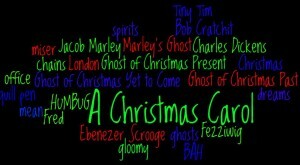 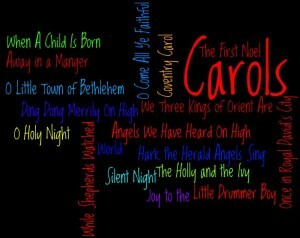 This Wordle lists the names of some of the most common Christmas Carols”. 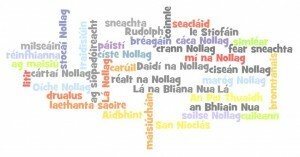 Sa Wordle seo, tá foclóir a bhaineann le séasúir na Nollag. 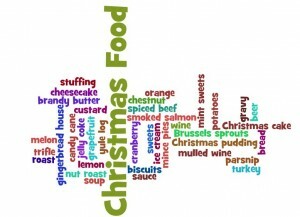 This Wordle has lots of vocabulary to do with Christmas food. 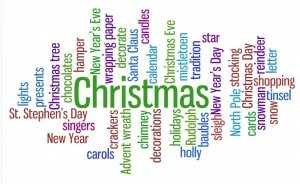 This Wordle has lots of vocabulary to do with Christmas. 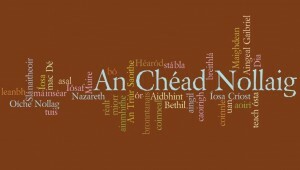 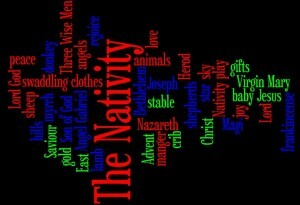 This Wordle uses vocabulary to do with the Nativity and could be printed out to stick into a pupils Religion copy.